This may be a bit rusty compared to some out there but I look at it that I have to start some where and can only, hopefully, improve from here. I’m not confident yet to video it so it’s just explained with photos. Any feed back would be appreciated. 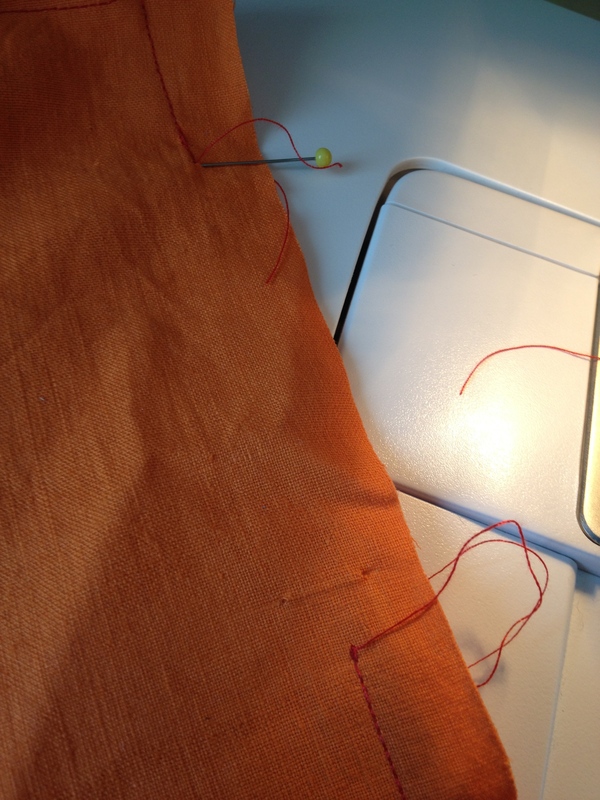 I started of making my template which is the width of the zip and whatever depth you want. 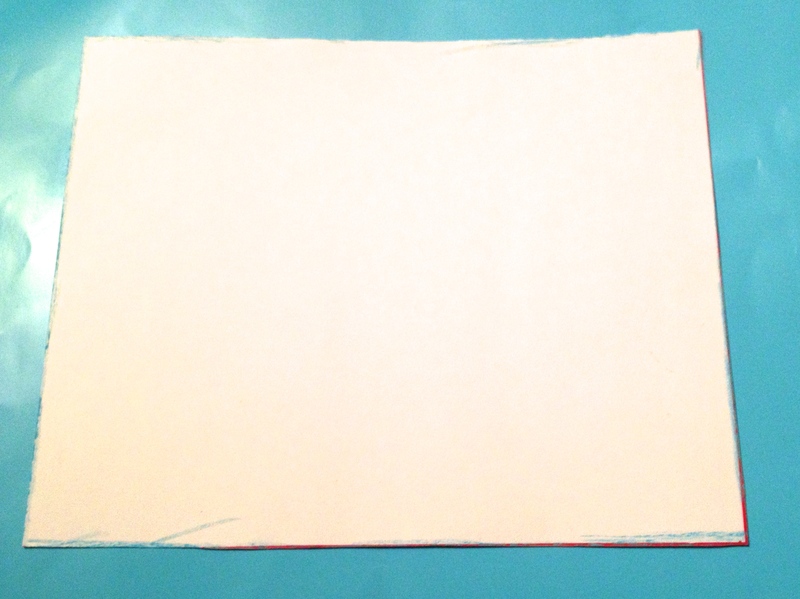 This one I made a bit deeper than the other ones. 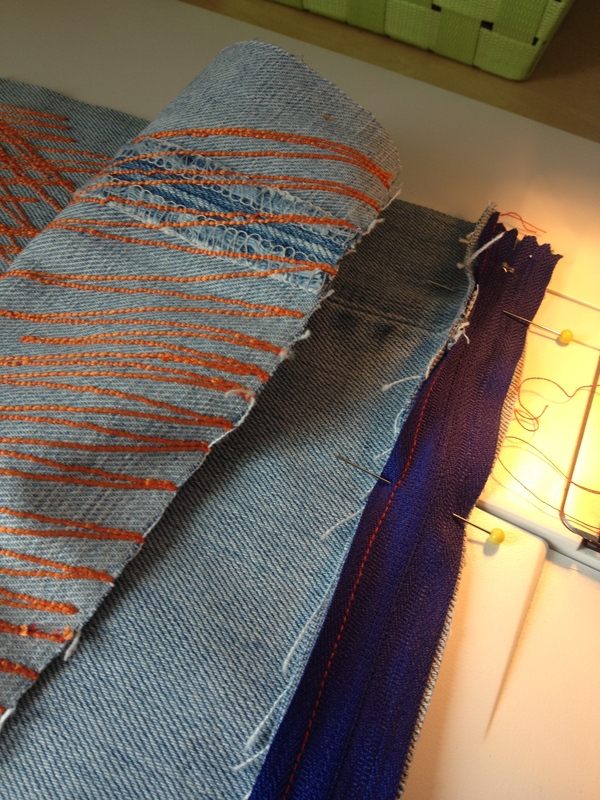 I’m trying different sizes. 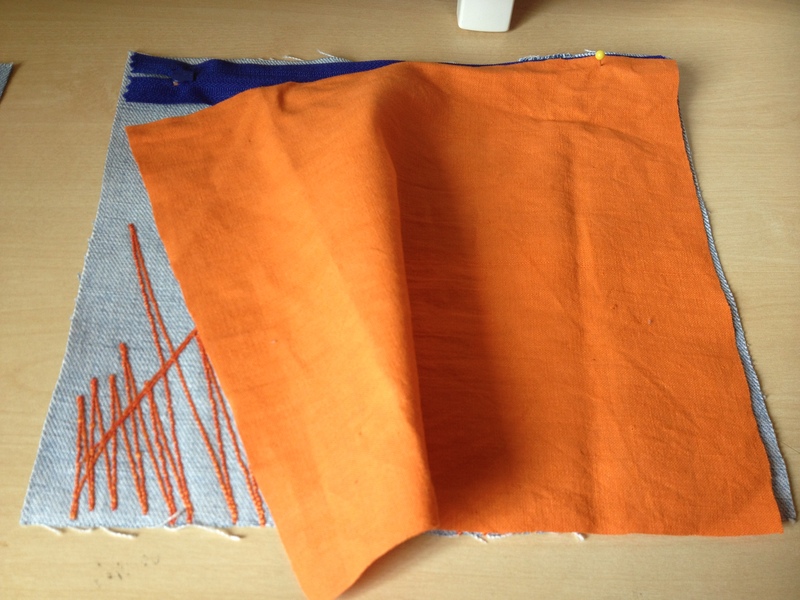 Making a template means I can cut out many pieces of fabric. 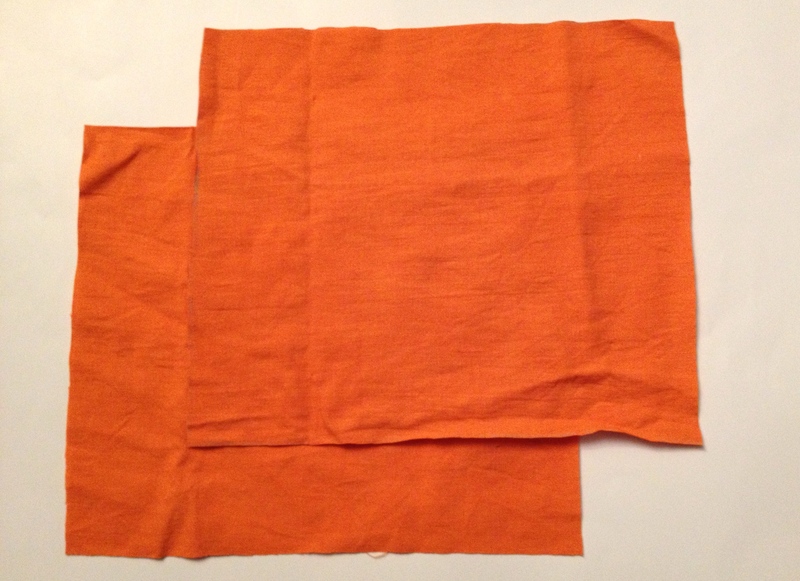 The front, back and two lining pieces. 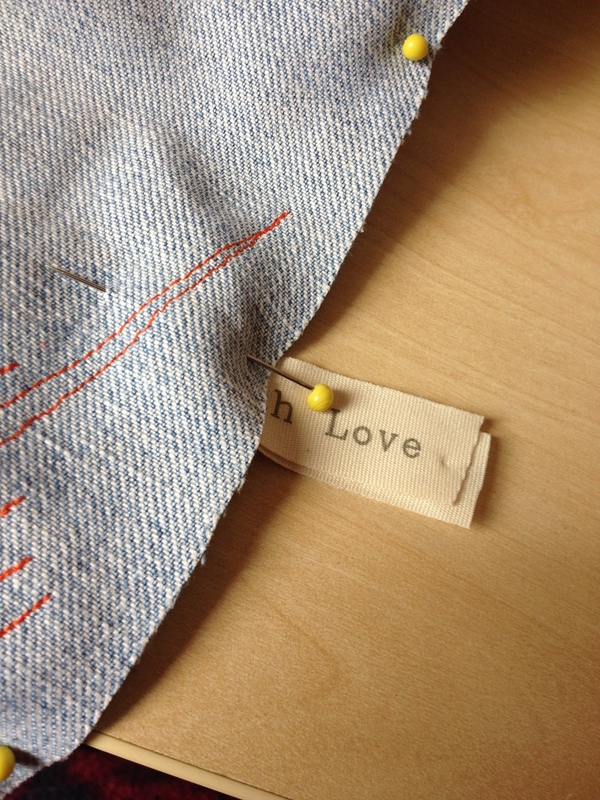 First, before sewing my pieces of fabric together, I decorate them with my embroidery design. 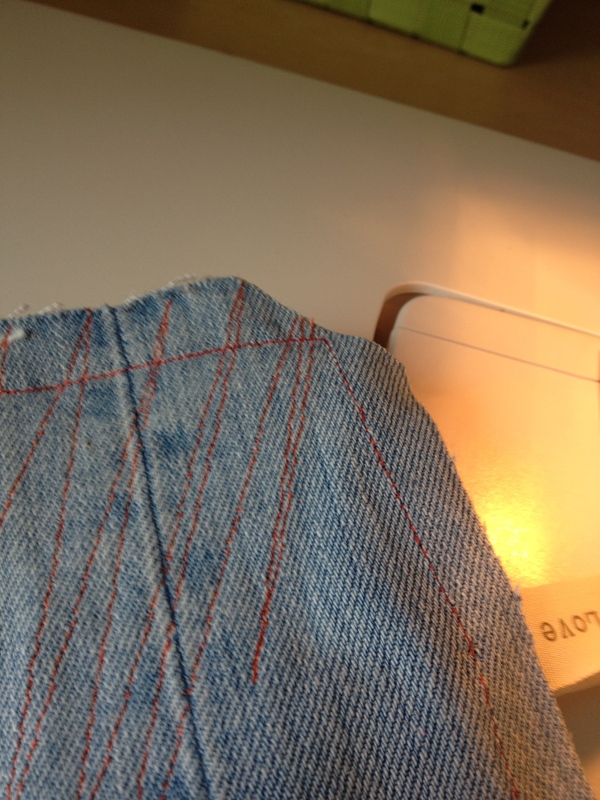 I decided to show the inside seam of the jeans on the front of one of the pieces for effect. 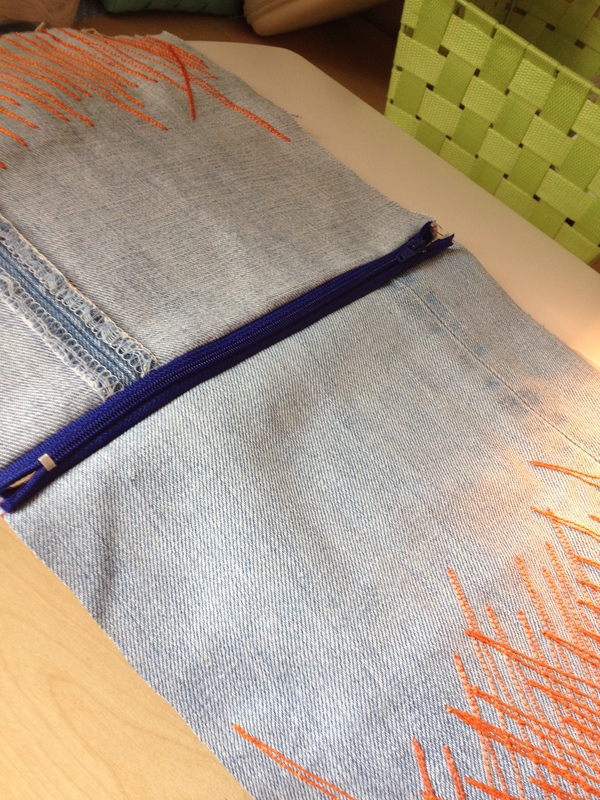 The first stage is attaching the zip to the front piece and lining. 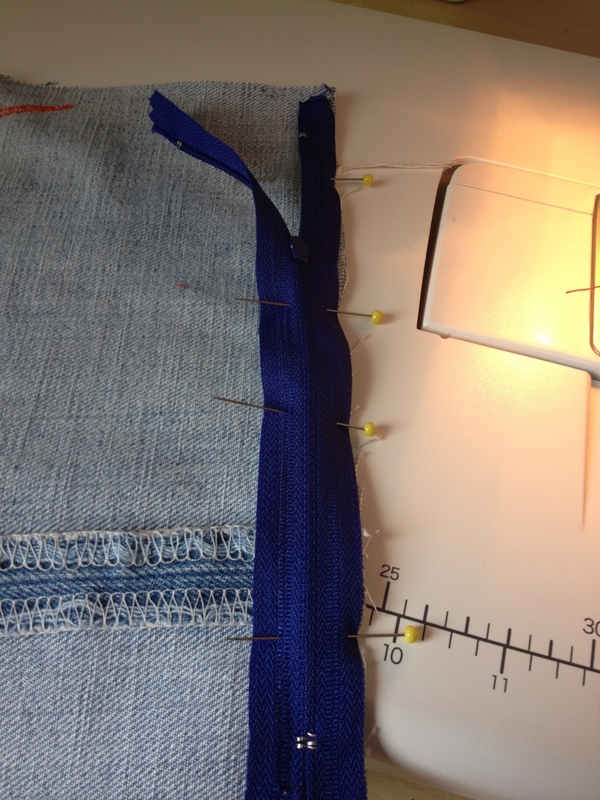 Place front of zip and right side of the front piece together, pin in place then sew the zip using zipper foot. 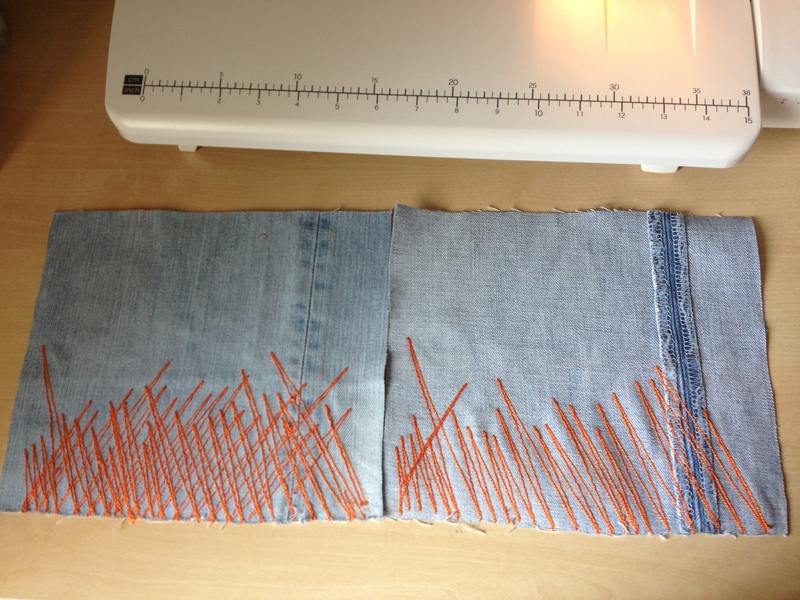 Now if you want you can zig zag the edges of the denim before you sew the zip into place. 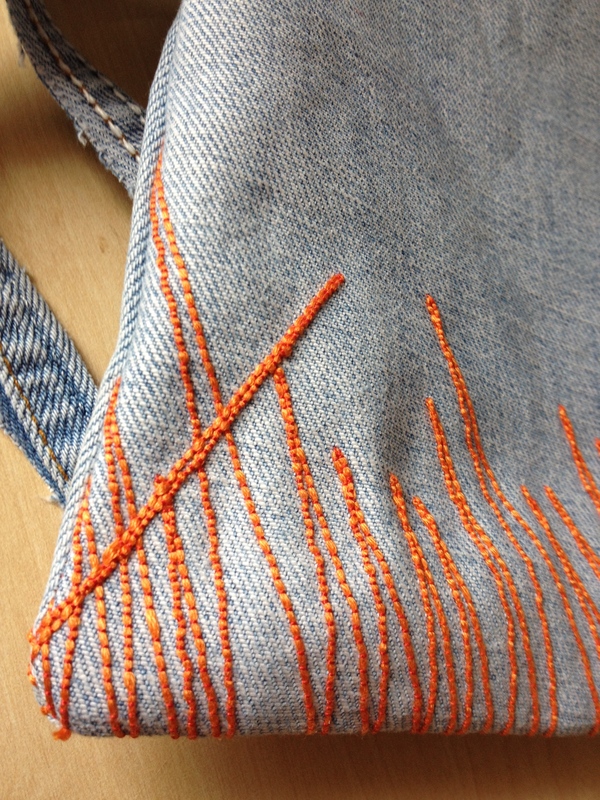 This is usually done to stop fraying but because it’s lined there won’t be a lot of rubbing on the raw edge. 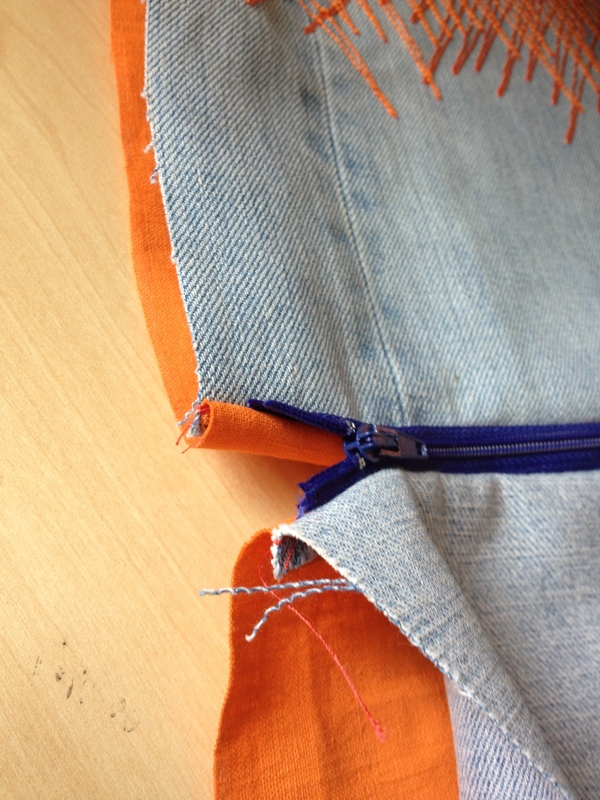 Also in other tutorials that I have watched, at this stage some show the lining being sewn on at the same time as the front to one edge of the zip. Don’t worry yourself, only when you get more confident can you do this. 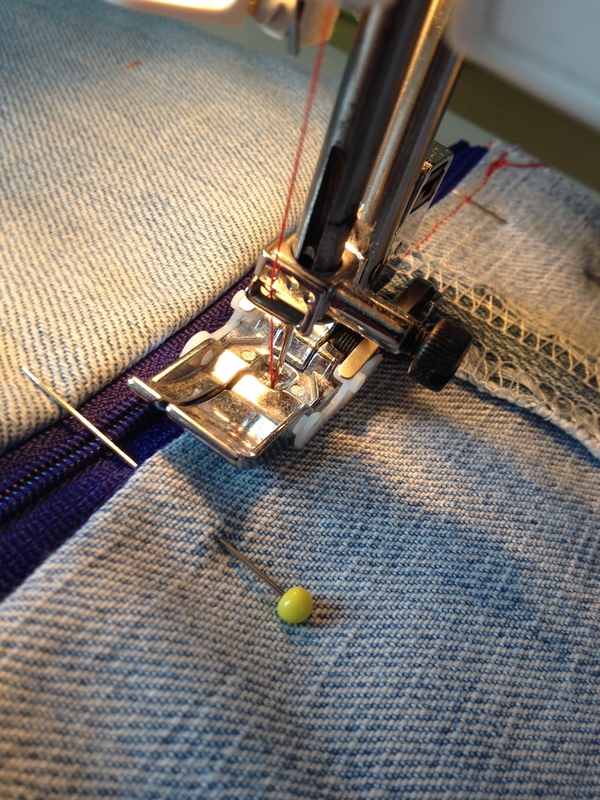 Sewing seperately does the same job. 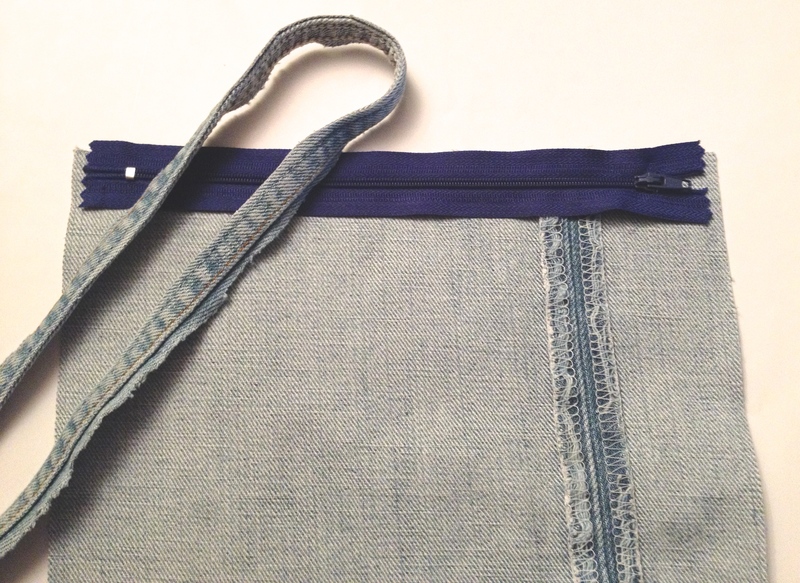 Attach the lining to the zip. Sandwich the zip between the two pieces. 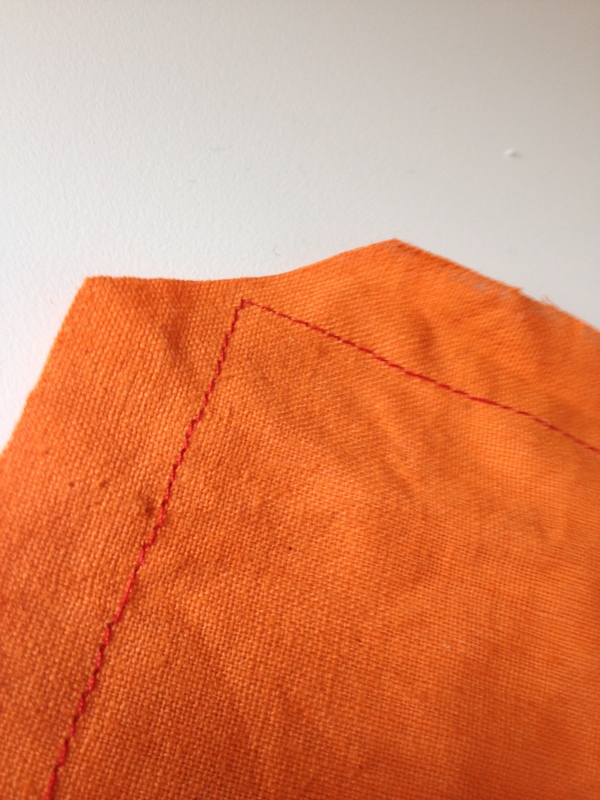 My lining is plain but if your using a patterned piece remember to keep right sides together. 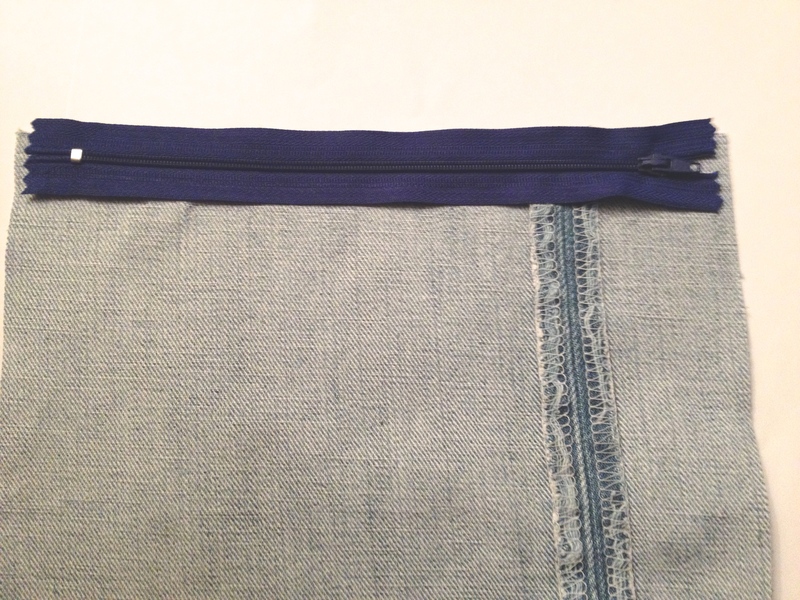 This is how your zip should look inbetween the outside and lining fabric pieces. 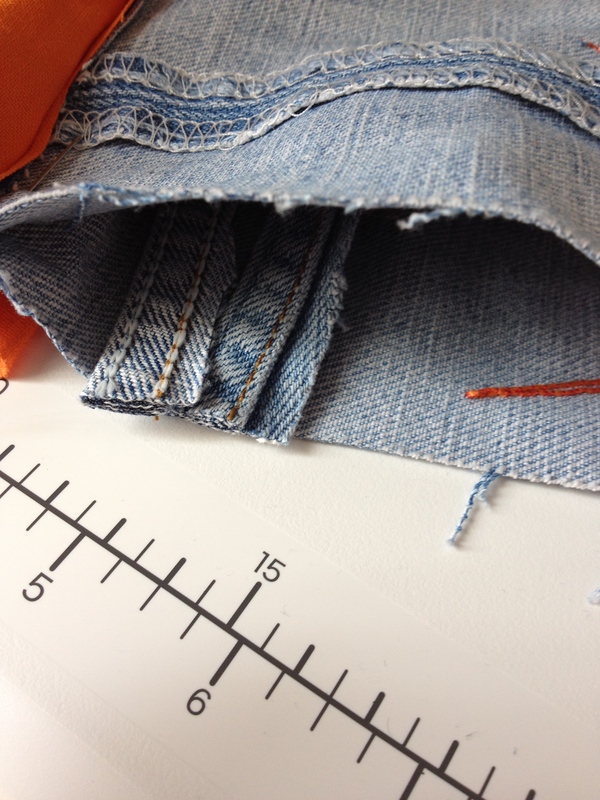 Make sure your pieces are completely flat before sewing your top stitching. 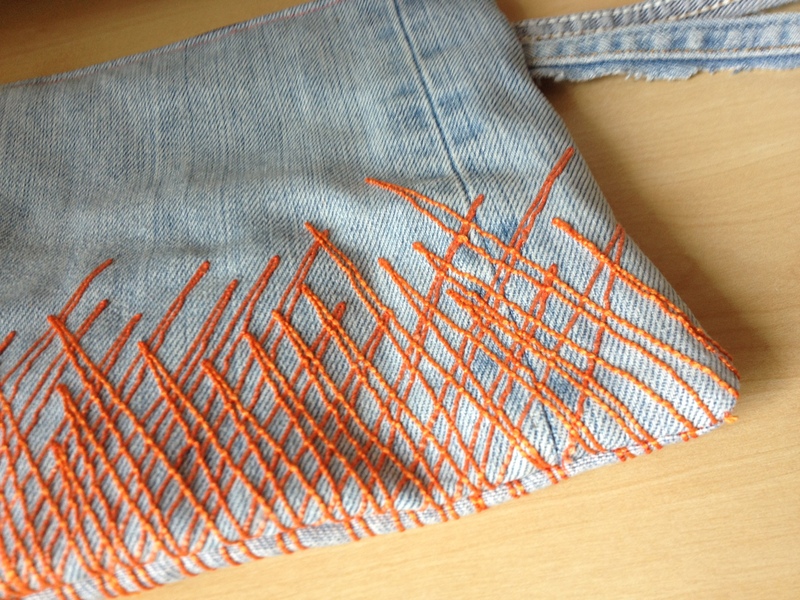 This is sewn, not only for decoration, but makes sure the lining doesn’t get caught up in the zip when in use. 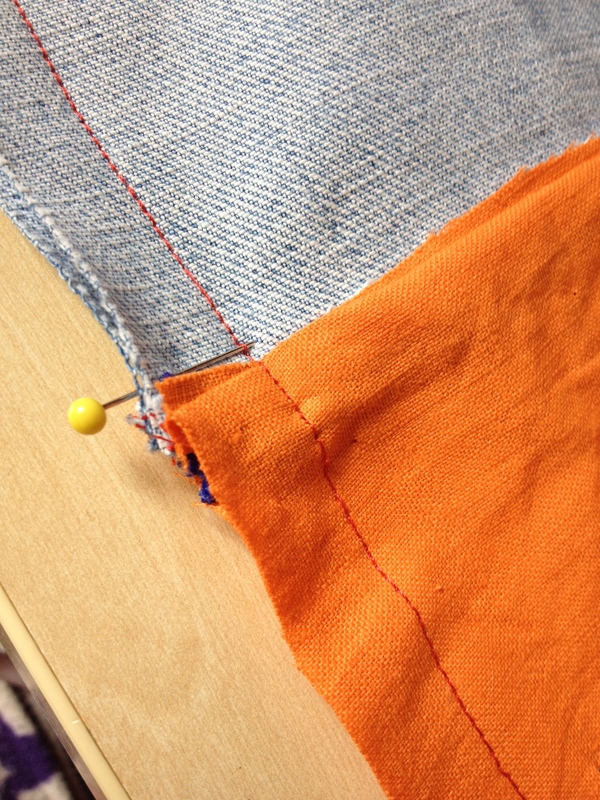 Pining it secure helps keep the fabric flat so you can get the straightest line you can manage. 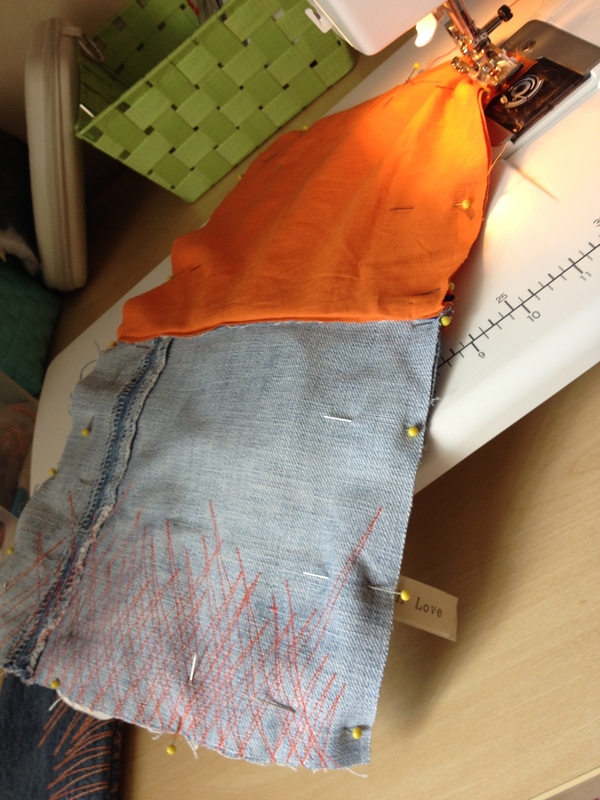 I changed over to my walking foot to help me get through the different layers I had to sew through. 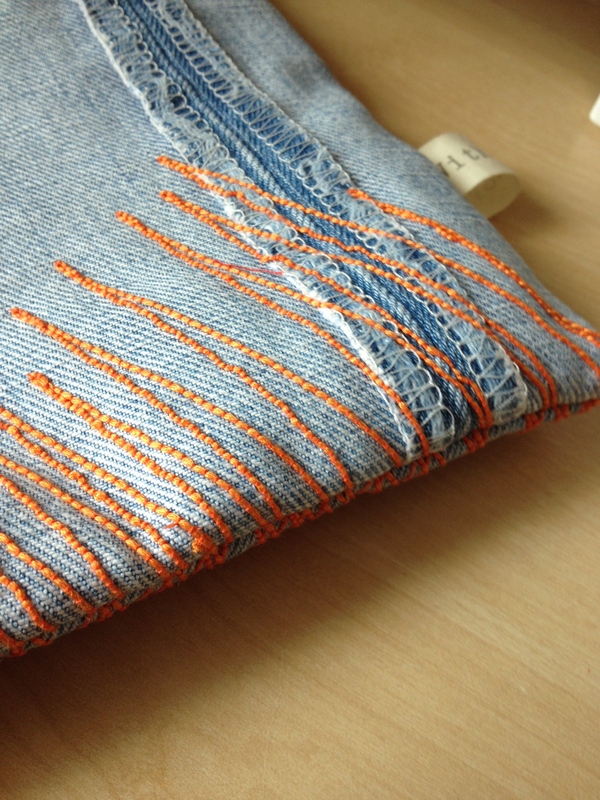 Resew if stitches are missed. 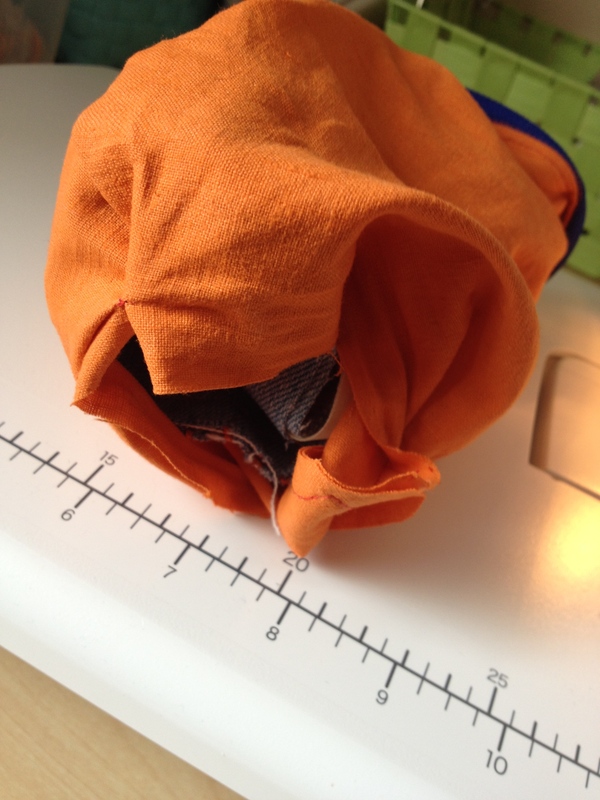 Pin the lining pieces together and pin the outer fabric pieces together. 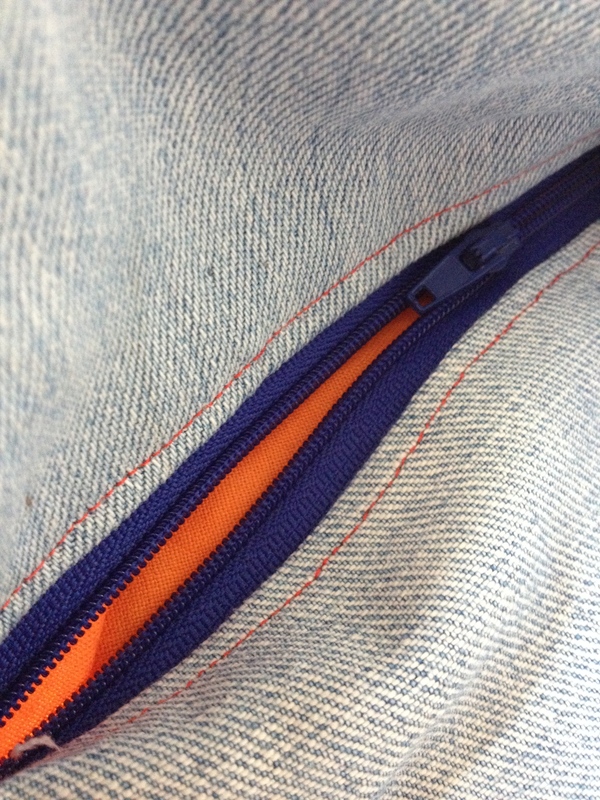 This is best done by securing the seams at the zip first of all with them pointing down into the lining and making sure they line up. 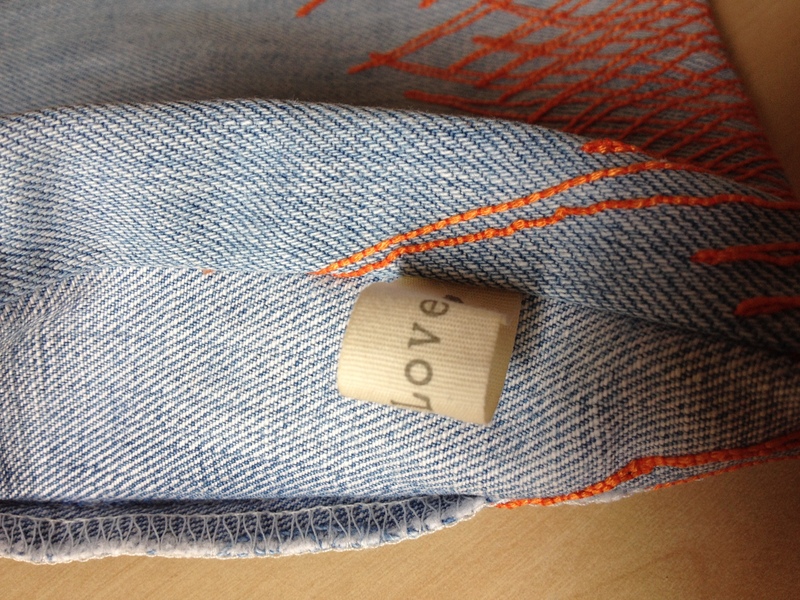 I’m using pre made labels as personalised ones are too expensive. 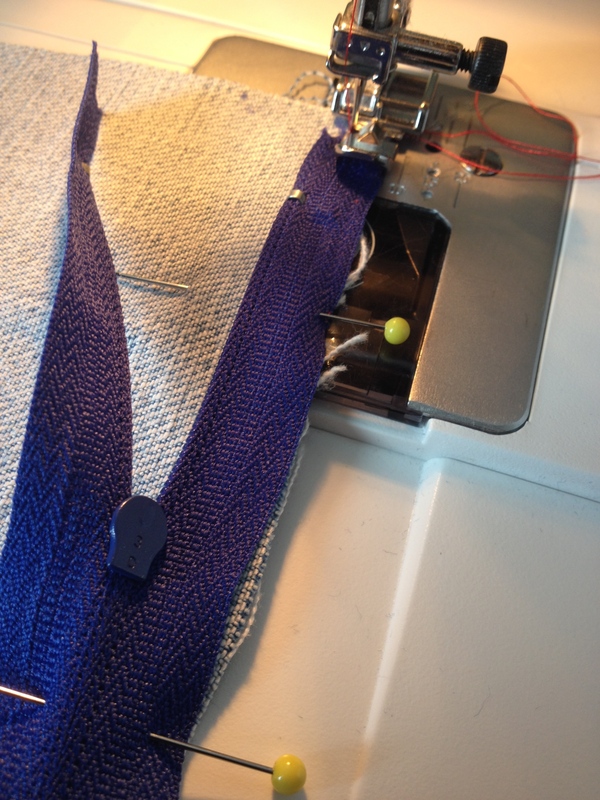 Make sure the zip is opened for turning round the right way. 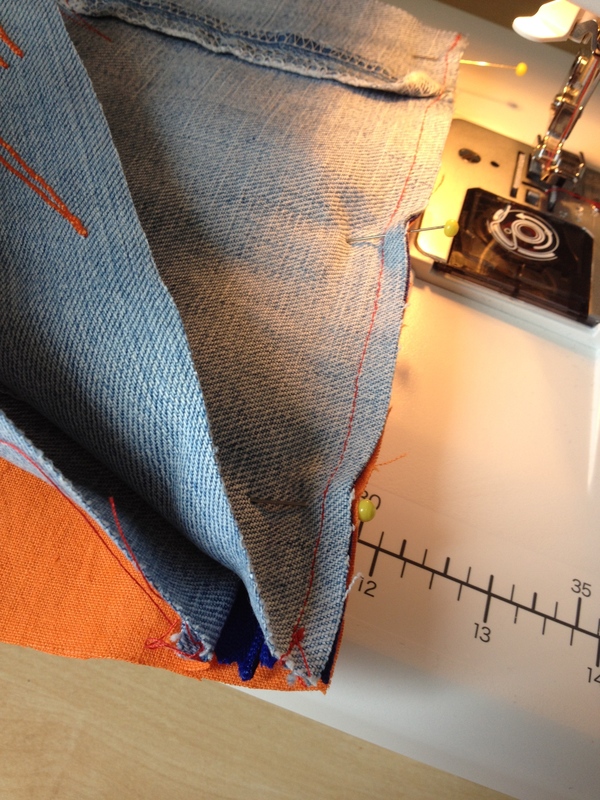 Leave a gap at the bottom of the lining for turning the right way. 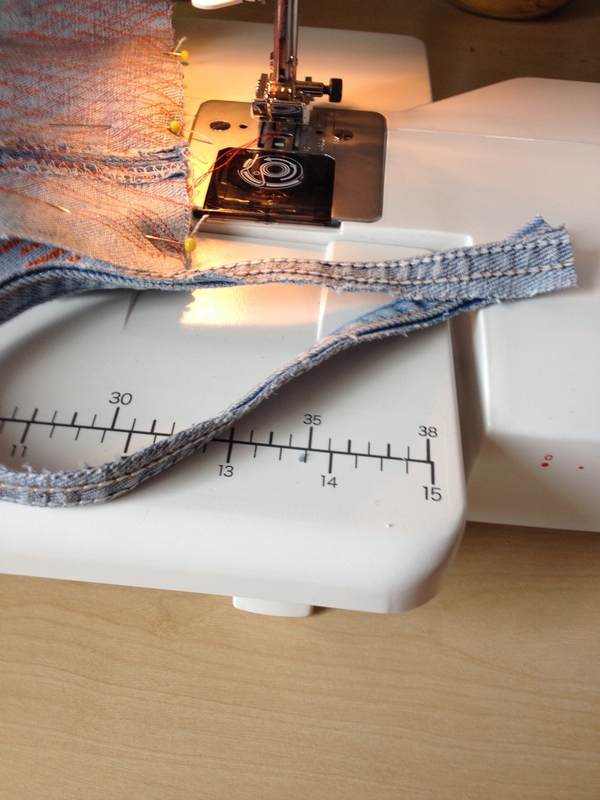 Pull through and poke the corners out using scissors. 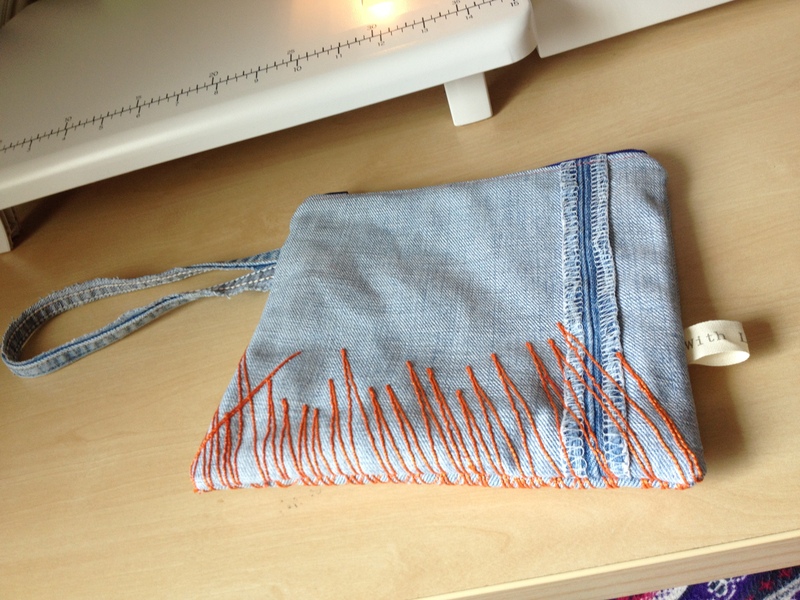 You can hand sew the hole in the lining if you like or do what I pre fare to do and just top stitch the bottom. I always like seeing the result when you pull it through because it’s not until you do this you don’t know if it has worked.